For those who live in the Northern Hemisphere, the subject of Australia’s winters may baffle and confuse, especially when it comes to Christmas. This holiday is celebrated all over the world but commonly encourages picturesque scenes covered in snow and people bundled up in jumpers, scarves and hats. But Down Under, Christmas takes place during the middle of summer, where temperatures can reach upwards of 26 degrees Celsius in the Southern cities. The thought of Father Christmas on a beach is certainly something to wrap your head around! This obviously means that Australia’s coldest months are reserved for June, July and August, where the average temperature usually hovers between 6 and a mild 14 degrees Celsius. If that seems a little chilly to you, don’t let it put you off! 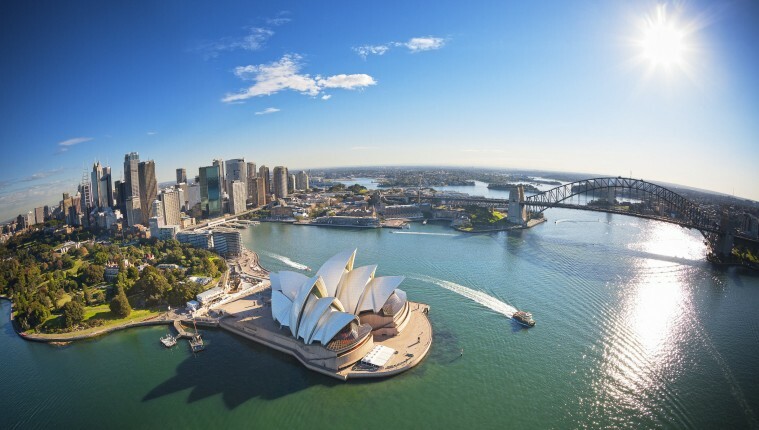 Even in its colder months, Australia is a country that is packed with exciting things to do all year round, so read on for our top reasons (or excuses?) to travel Down Under during the winter. Okay, we know we said it can get a little chilly during the winter months, but surprisingly it will often stay mild and cool rather than teeth-chatteringly cold. Travel up the coast to the Northern cities and you’ll find that the temperature gets even warmer with less humidity and rain. Even in all weathers you’ll always find popular destinations such as Cottesloe Beach in Perth to be packed with surf lovers and swimming enthusiasts. If extreme watersports aren’t your cup of tea, the milder weather in Australia is perfect for road trips – you can enjoy the sights a lot more when the temperatures are more bearable. During summer, the Outback will be steaming from the heat but during the winter, you will find the journey relaxing, cooling and more enjoyable. If you’re taking an overnight trip and sleeping in a camper van (a popular and beautiful way to see the night sky unhampered by man-made lights) you may need to take an extra blanket, but the whole experience is still altogether pleasant. Here in Australia, we love our sport. From cricket to rugby, there is something for everyone to enjoy. During the winter months, these sports and others such as football are reaching the peaks of their seasons. Whether you know all the rules or not, taking part in small local games or watching the big ones can be incredibly enjoyable, just bag yourself some tickets or head to the local pub to cheer your local side on to victory. Believe it or not, aside from the adrenaline-pumping sports mentioned above, Australia is still warm enough for you to partake in all of the water-based activities that this country is known for, such as snorkelling and swimming, with the Great Barrier Reef offering some of the most stunning underwater sights. Feeling adventurous? While Australia’s not renowned for harsh winters, there are some areas where snow gathers. There are plenty of winter sports to try such as skiing and snowboarding at the many top resorts such as the Perisher and Mount Buller. We promise they aren’t as dangerous and scary as they sound! Now this isn’t suggesting that you let your hair down and party ‘til the sun comes up (we’ll come to that later), but you may already know that Australia is home to some of the most unique and intriguing wildlife on this planet. From koalas and kangaroos to the wonderful platypuses and saltwater crocodiles, there’s certainly plenty to see. If the weather’s a bit grey, consider a visit to Sydney’s Taronga Zoo, the Australian Zoo or Dubbo’s Western Plains Zoo to spot some of these fascinating creatures. But nothing beats seeing an animal in the wild, which is why Australia is certainly the place to be for wildlife lovers. During the winter months, whales in the Southern Hemisphere actually migrate north, which causes them to come very close to the shore during their travels. 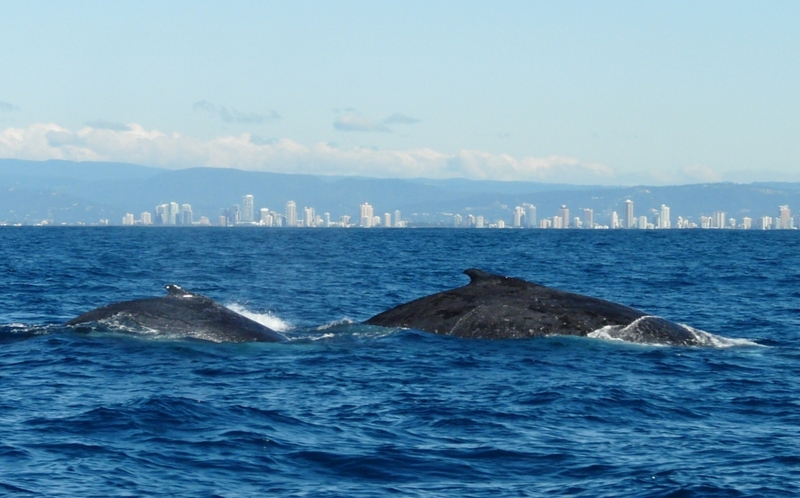 The whale watching season starts in June in the cities of Victoria and Queensland, and there are plenty of companies that offer tours on boats. Brave the salty wind and sea spray for a glimpse of these incredible creatures, you won’t regret it. The city of Sydney is home to some incredible festivals that take place during the winter months, and many cite the best as VIVID Sydney. This festival, taking place in late May/early June, showcases loud music, bright lights and vibrant ideas in the form of live shows, art installations and creative conferences; definitely worth a visit – and it’s free! But that’s not all! In June and July you can find the Film and Winter Festival kicking off in Sydney, along with a salute to the country’s Aboriginal heritage with the Garma Festival, providing you with plenty of opportunities to immerse yourself in the country’s old and new cultures. As a leading migration agent in Melbourne, True Blue has its finger on the pulse when it comes to winter events in the city. Arguably the most high-profile occasion is the Melbourne International Film Festival, which runs from July 30th until August 16th this year. Established in 1952, the festival has become part of the very fabric of Melbourne’s culture and as one of the oldest events of its kind, it attracts visitors from all over the world. According to Roy Morgan Market Research, the 2014 festival contributed more than $9.8 million to the local economy. Yes, it’s a pretty big deal!